DDN supplies more than two-thirds of the top 100 and one-third of the top 500 supercomputers in the world. The Sanger Institute’s SFA10K hardware accommodates 22.5PB of capacity on a Lustre massively scalable parallel file system. The SFA10K cluster is connected to the compute element via 10Gbps Ethernet although its own backplanes can handle up to 20Gbps. This connectivity bottleneck will be addressed when the institute upgrades to a 40Gbps Ethernet infrastructure. 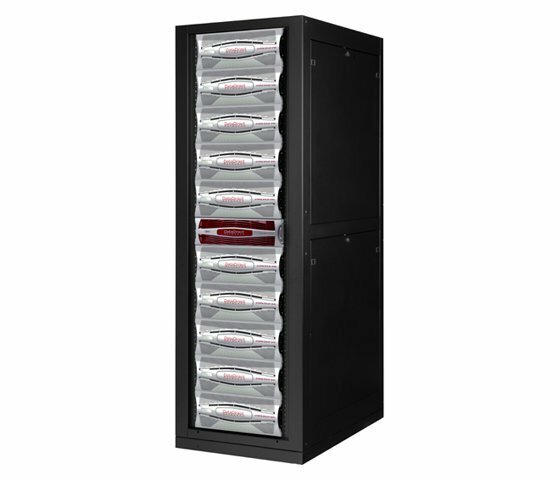 The SFA10K is an active/active dual controller unified storage system that can house up to 1,200 flash, SAS and SATA drives.